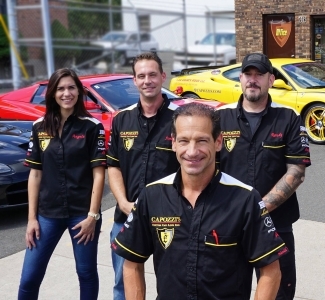 Home - Capozzi's Custom Car Line Inc.Capozzi's Custom Car Line Inc.
What does your car have in common with a Ferrari? ...both are serviced by our professionals. Audi, BMW, Infiniti, Land Rover, Lexus, Mercedes-Benz, Mini, Porsche, Volkswagen, Exotic and Supercar. 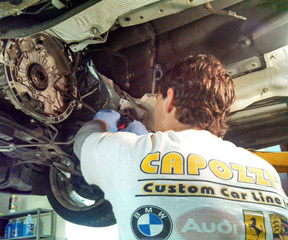 Central Connecticut's Exclusive Repair, Service and Auto Body Facility. Known and Trusted for 30 years. Read our Five Star Testimonials to see why our slogan is "Handled with Pride"
We offer a full service auto body service. Your vehicle is back on the road promptly! 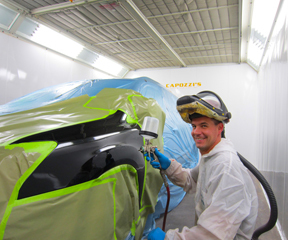 We feature a full service paint and body shop! We will perform your transmission to perform like new!